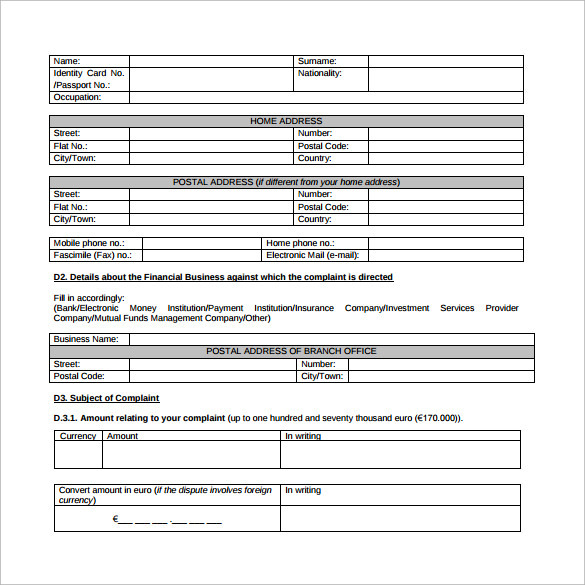 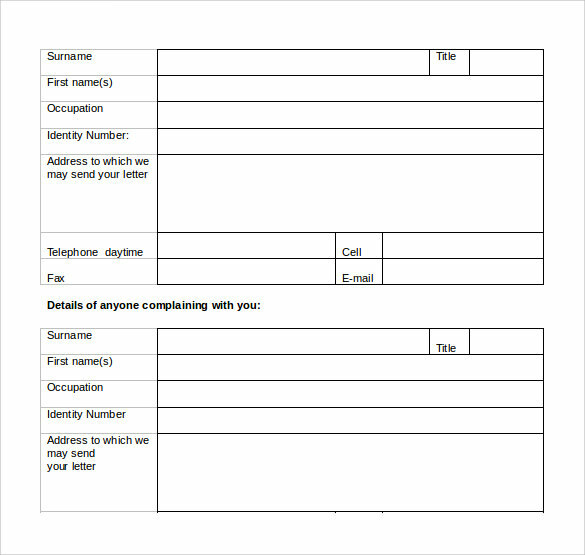 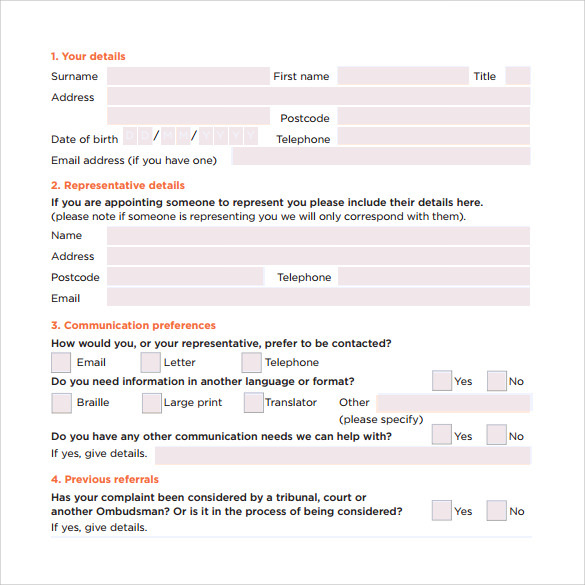 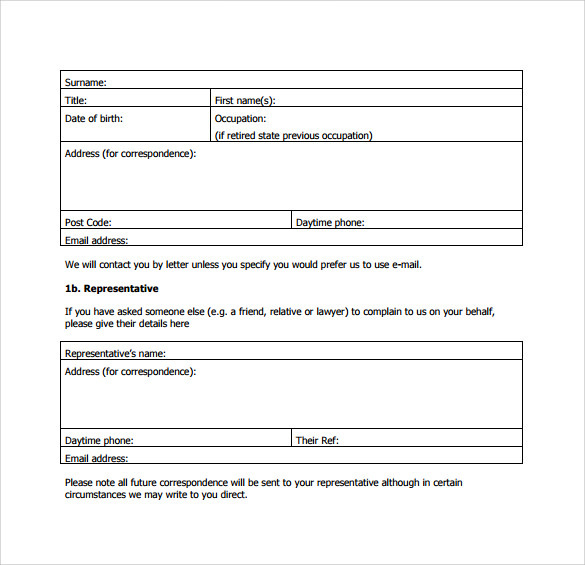 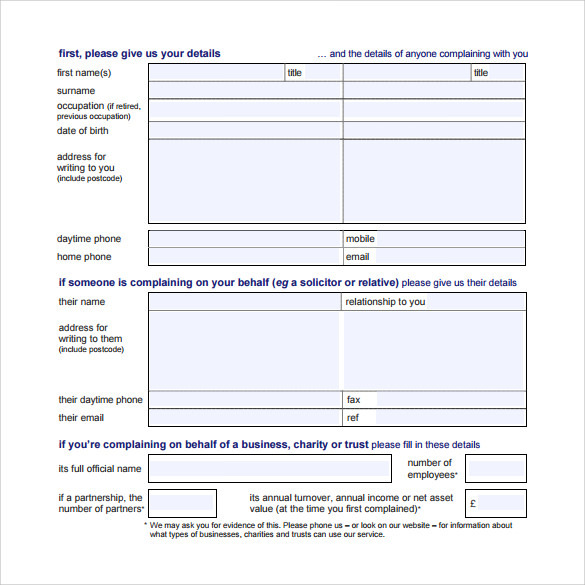 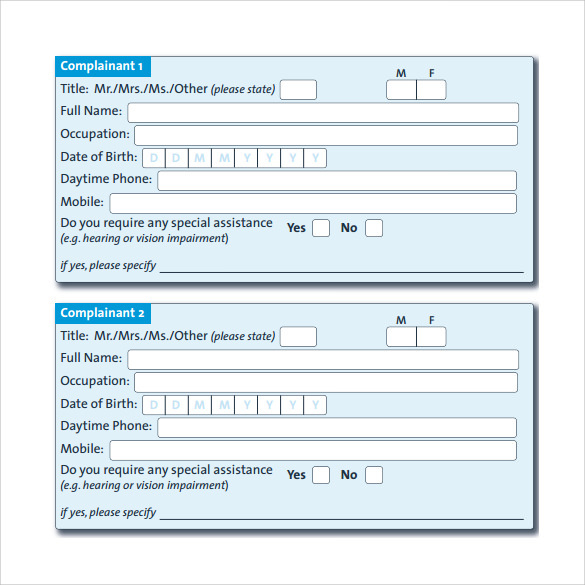 A financial ombudsman complaint form is a very professionally designed form that consists of forums for details like name of the person registering the complaint, their occupation, their date of birth and contact details like mobile number and email address for correspondence. 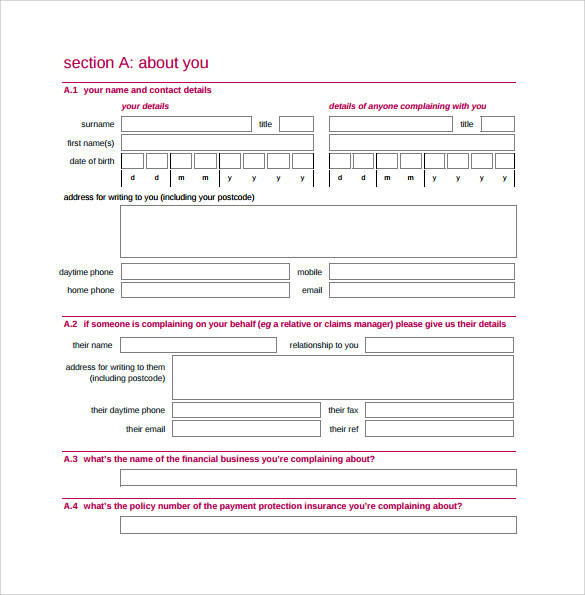 Various options for Mode of assistance is given to the customer and he can choose amongst the various options give. 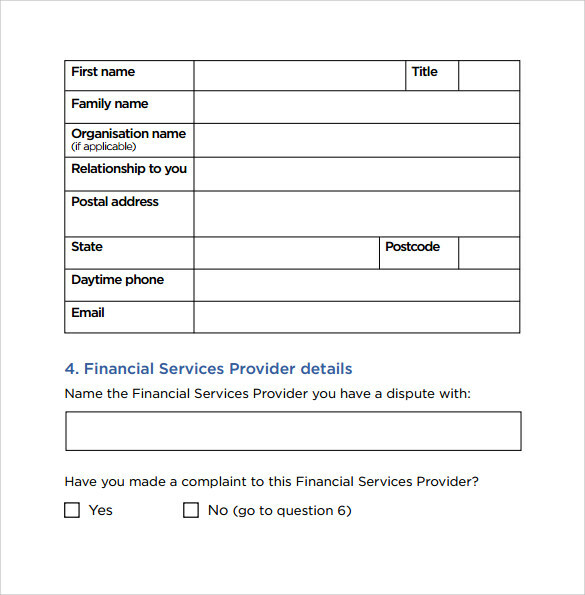 Such financial ombudsman complaint forms are available on this site, which can be downloaded in various file formats that support PDF and word document and used in the future by many others.